So, what the hell is going on? What is Trump doing? A cynical person might get the sense, judging by the volume of POTUS' recent tweets about Russia, that this is an attempt to distract the public from whatever is about to come down the pipeline on that front. After all, the last time he launched an attack against Syria, the minions stepped in line: MSNBC's Brian Williams waxed poetic about the beauty of our missiles, CNN's Fareed Zakaria declared that Trump had suddenly become presidential by virtue of blowing things up, and the general public stopped despising him for a moment to circle the war wagons. So if he's about to get smeared by Russia allegations, why not go back to what works? 1. Bashar al-Assad has survived the worst of the rebels’ challenge, and is winning the war. After taking back Aleppo in December, it was widely conceded that the writing was on the wall, and that Syrian government forces would eventually prevail. Just two months ago, Spicer himself conceded the “political reality” that Assad had all but prevailed. 2. Assad is backed by the Russians—he needs the Russians—and the Russians clearly don’t want their support associated with a guy who will gas his own people. 3. He is not yet opposed by the U.S., but there is no more direct path to involving the Americans than to commit these kinds of human rights atrocities—crossing the so-called “red line.” That’s what gets people’s attention. In fact, a main impetus behind the U.S. strike against Syria in April was Ivanka showing her dad some pictures of kids. 4. Assad was so nervous about U.S. involvement after an alleged sarin attack in 2013—which prompted a U.S. resolution authorizing force against the Syrian government—that he agreed to turn over his chemical weapons stockpiles to avoid further conflict. Are we to believe, less than four years later and with a new, trigger-happy president in the oval office, that he’s willing to tempt the American war machine? 5. Again, it is not necessary for Assad to use chemical weapons on the rebels. He’s winning! He’s on the cusp of total victory! There is nothing positive that can come from a sarin attack. “I stress to you once again: The Syrian Army has not, did not and will not use this kind of weapons — not just against our own people, but even against the terrorists that attack our civilians with their mortar rounds,” the minister, Walid al-Moallem, said at a news conference in Damascus. Why such an adamant response, if Assad really used the nerve gas and planned to do so in the future? So, in order to believe that al-Assad dropped sarin nerve gas on the rebels, you have to believe that he went against the wishes of his Russian allies, risked an international incident that might drag the Americans into the fray, and did so at the risk of reversing the outcome of a war he was winning. You have to believe that for the most modest of military gains—a few horrible deaths—he would have risked international infamy and the loss of power. Does that make even a lick of sense? Now, could it have happened anyway, even though it’s utterly nonsensical from a strategic vantage? If, in theory, al-Assad is not a logical human being, but just a roving madman who wants to usher in the apocalypse…then, yes, I suppose the sarin attacks could be real. But it would mean that he was the kind of person who had stopped caring about his own power, who went against the wishes of his main allies and his government, and who had ceased to be a rational actor. 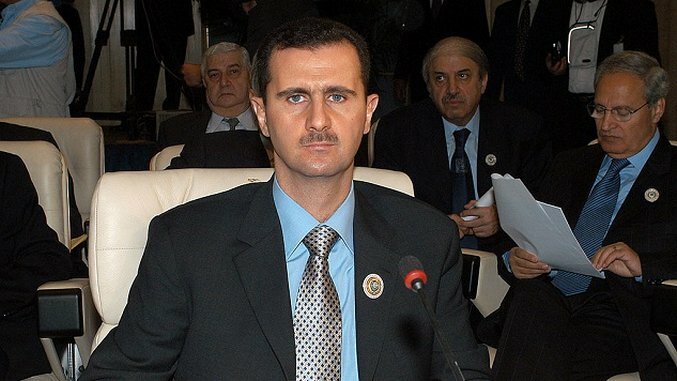 That is not the al-Assad we have seen throughout his regime’s history—he may be brutal, but he has an instinct for power (just like his father did), and doesn’t fit the profile of an insane sadist that would risk it all to gas a small assortment of rebels. So what does make sense, if that doesn’t? Does it make sense that the rebels would want to encourage the chemical narrative, or even stage a false flag, since they’re losing the war and the negative publicity from a government atrocity makes it more likely that the U.S. would intervene on their behalf? Does it make sense that Trump, seeing how the media and public put aside their concerns the minute war is brought to the table, would view this as a handy distraction? I certainly have no answers, but it would be nice, before the U.S. engages in a regional conflict that could spark World War III with Russia, if those responsible for our international fate—and I include the mainstream media here—would engage in a little critical thinking.